The stock slipped 6 per cent to Rs 1,141 on the BSE in intra-day trade on Thursday after the company informed about illegal transfer of mutual fund units worth Rs 344 crore by Depository Participant. Shares of Dalmia Bharat Group company Odisha Cement slipped 6 per cent to Rs 1,141 apiece on the BSE in intra-day trade on Thursday, after the company informed regulators about the illegal transfer of mutual fund units worth Rs 344 crore by a Depository Participant (DP). “The certain mutual fund units, valued at approx. Rs 344 crore have been illegally and unauthorisedly transferred by the Depository Participant ("DP”) from the demat account(s) held by our erstwhile subsidiaries, OCL India and Dalmia Cement East Limited,” Odisha Cement said in a regulatory filing. The company said it has already reported the matter to the National Securities Depository Limited (NSDL), National Stock Exchange ("NSE") and other appropriate authorities including the Securities Exchange Board of India (SEBI). The equity shares of the amalgamated entity, Odisha Cement, had started trading from January 22, 2019. The shareholders of the erstwhile Dalmia Bharat have been allotted two shares of Odisha Cement for every one share held. The process to change the name of the company from Odisha Cement Limited to Dalmia Bharat is underway and is expected to be completed soon. 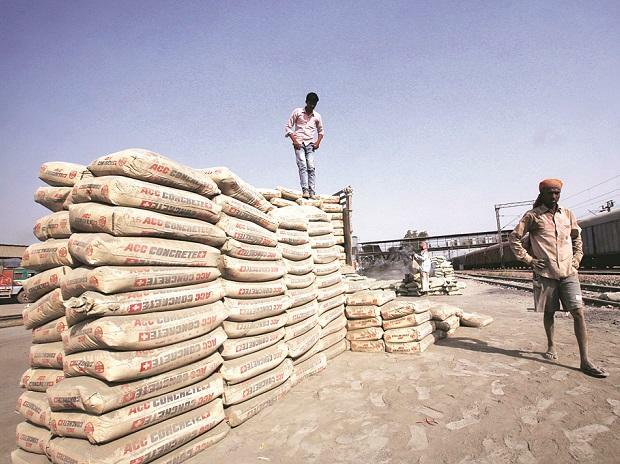 At 01:31 pm, Odisha Cement was trading 5 per cent lower at Rs 1,152 on the BSE. In comparison, the S&P BSE Sensex was down 0.02 per cent at 35,897 levels. The counter has seen huge trading volumes with 1.5 million equity shares, representing 0.78 per cent of the total equity of the company, change hands via two block deals, BSE data show.